From deserts, canyons and mountains, to lush forests, clear lakes and even volcanoes – wilderness-wise, the U.S. has it all. Our national parks feature some of the most inspiring views you won’t find anywhere else on the planet. Here are five of the very best U.S. national parks. 7,700 years ago, a volcano erupted, collapse upon itself and created a huge crater in southern Oregon’s Cascade Mountains and left behind one of the most stunning places in the world. 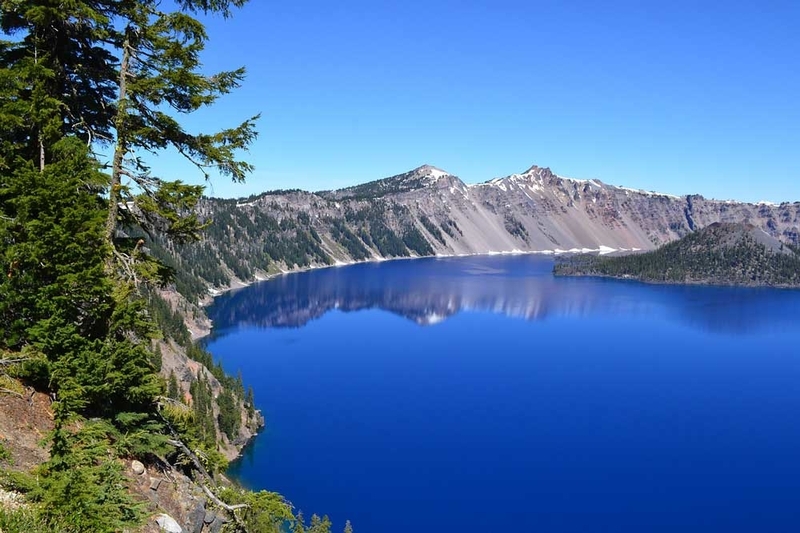 Crater Lake is widely known for its intense blue color and spectacular views. It holds the record for being the deepest lake in the U.S. and scientist claim it might be the purist and most pristine on earth. For the best view, hike up to Watchman Peak. It’s about a ¾ mile hike on the Cleetwood Trail and it is the spot to take the best pictures. At over 6,500 feet elevation, weather conditions may change quickly so a warm jacket and wool sweater are always recommended. 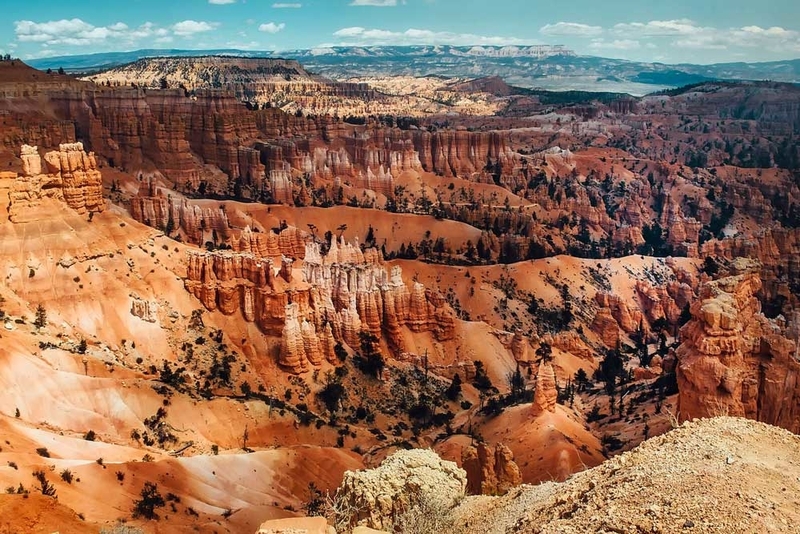 Located in southwestern Utah, in the Dixie National Forest, Bryce Canyon welcomes over 1.5 million visitors each year to take delight in the fantastic scenery and recreational opportunities. The ‘hoodoos’ are odd-shaped, yellow, red and orange pillars of limestone, left standing from the forces of erosion. Bryce Canyon has the largest collection of hoodoos in the world, 10 stories tall and 50 million years in the making. The surreal formations make up a fairyland of elegant structures of stone. 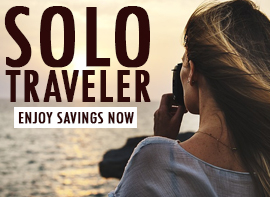 With over 50 miles of trails, there are no shortage of activities to participate in, like hiking, horseback riding, back packing, camping, fishing and mountain biking. Bryce Canyon has a wide range of animals and plants. The mammals in the park include bobcats, mountain lions, foxes, ground squirrels, marmots, and most commonly the mule deer. Plus, there are 160 different types of birds including swifts and swallows. 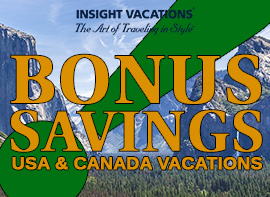 Any trip to Alaska must include a stop in Anchorage to visit the picturesque Denali National Park. 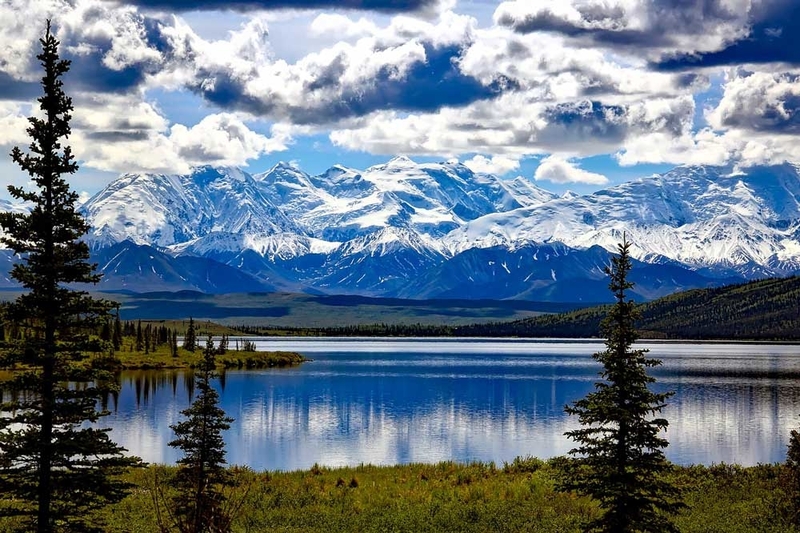 Stand in awe of the highest mountain in North America, Denali (formerly Mount McKinley) while surrounded by more than 6 million acres of beauty. The park accommodates a wide variety of visitor activities, including wildlife viewing, hiking, cycling, and even dog sledding. Denali National Park is the only national park with a working dog sled kennel! Denali is home to many other famous animals, including the grizzly bear, the moose, the wood frog and over 160 species of birds, so keep an eye out and use caution. 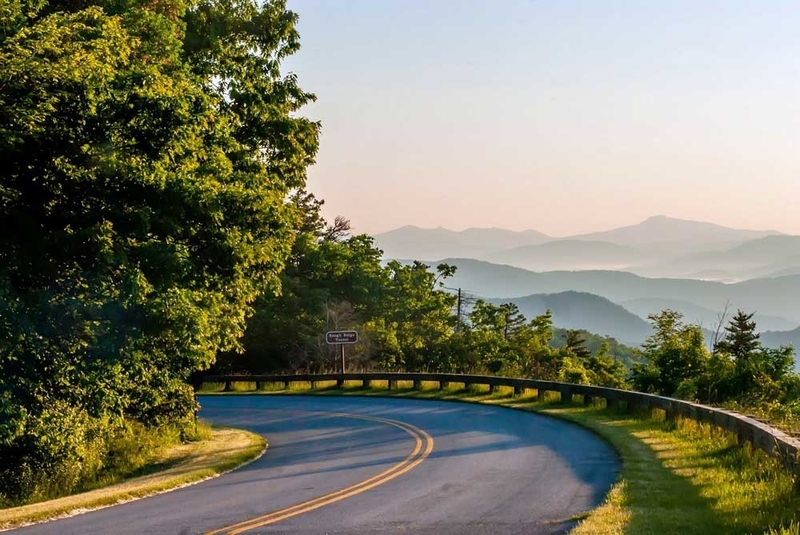 Established in 1934, America’s most visited national park, Great Smoky Mountains, is an ideal getaway nestled on the borders between Tennessee and North Carolina. Named the ‘Smokies’ due to the morning fog, this mountain range is world renowned for the diverse plant and animal life, and of course, the beauty of the ancient mountains. From the big animals like bears, deer, and elk, down to microscopic organisms, the Smokies have the most biological diversity of any area in the world’s temperate zone. Visitors can hike, camp, and bike on their 800 miles of well-maintained trails as a way of experiencing one of America’s oldest mountain ranges. Hidden throughout the park are waterfalls, which are a site not to be missed. With so much to do and see, it’s no wonder this is one of the most popular national parks in the country. Related: Experience The Beauty Of U.S. National Parks In Person On Active Adventure Tours! Just a couple hours away from Las Vegas, this park with steep red cliffs is an outdoors lover’s paradise. Within its 232 square miles are high plateaus, a maze of narrow, deep, sandstone canyons, and winding rivers. Hiking along the Virgin River in a slot canyon that’s 2,000 feet deep ranks among the best journeys available in a national park today. The varying climatic zones, determined by elevation, affect weathering and erosion as well as the distribution of plant and animal life. 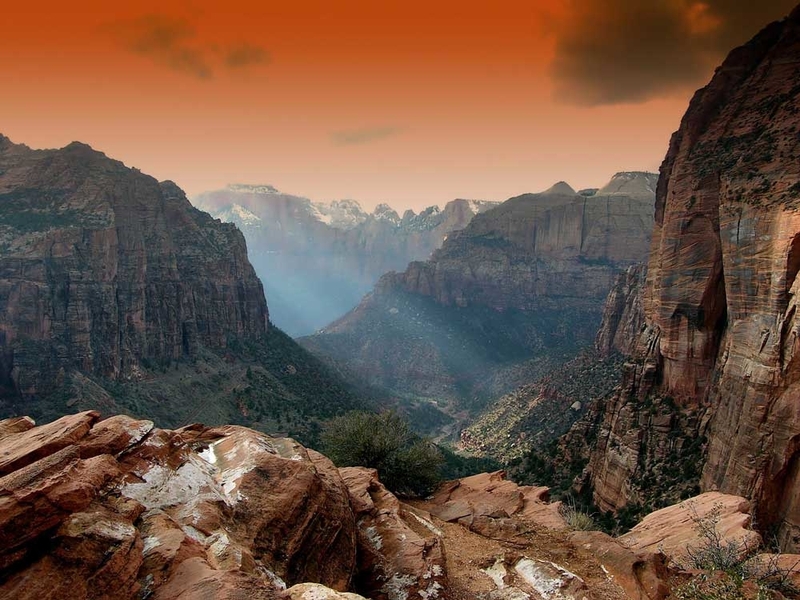 Zion’s unique array of 1,000 species of plants and hundreds of animals will enchant you as you absorb the rich history of the past and enjoy the excitement of present day adventures. Related: WATCH A First Hand Video Review Of U.S. National Parks! The U.S. is home to 59 National Parks and each one is a beauty. 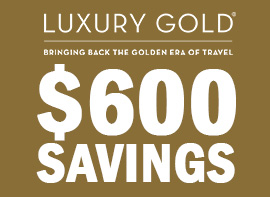 There are endless options to discover someplace or something out of the ordinary. Whether one seeks relaxation, exhilaration, or inspiration, there is something for everyone in a national park. Which National Park have you visited or are on your list to visit? Leave us a comment and let us know.